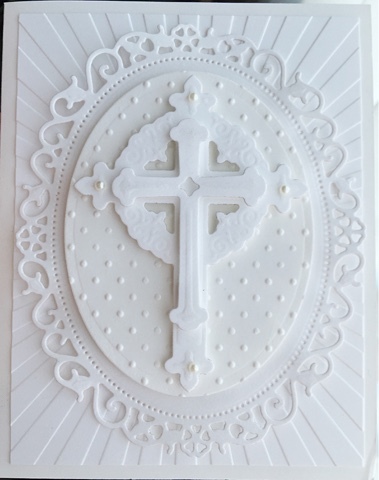 My nephew's baptism was this weekend passed and I made this card. It was a total Pinterest CASE but I love how it turned out, it was well received by the family too which makes me happy. I'm loving white on white, may just have to do more of it!